Why install a 1.8 ecu on a 2.0? The 1.8 ecu doesnâ€™t have the annoying rev-hang, revs drop much faster. The 1.8 ecu will cause it to run a bit leaner and make a little bit more power. 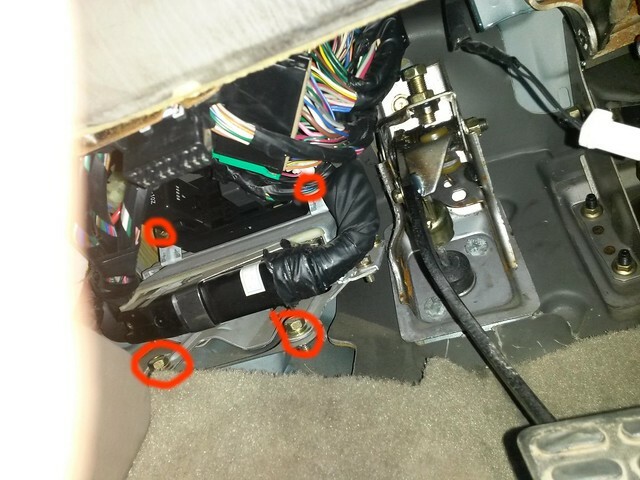 If your car has an automatic transmission, it's easier to get to the ecu if you remove the transmission computer. Remove 3 12mm bolts and 3 wiring connectors. Remove the 2 12mm bolts on the bottom. This is MUCH faster if you have a ratcheting wrench. 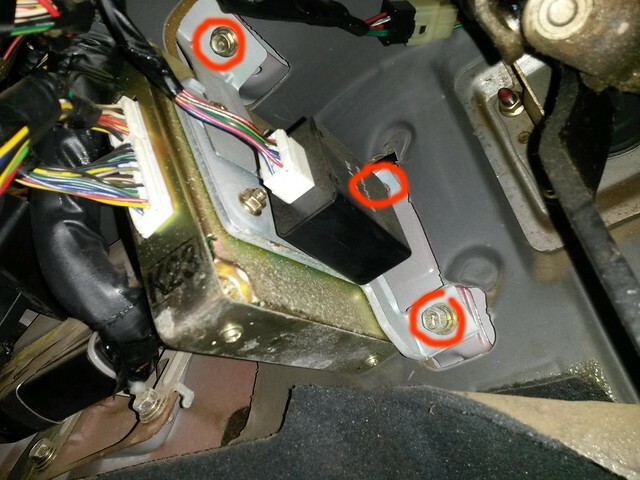 You need to remove the flasher/relay box that's bolted to the top of the ecu so It will slide out. The wiring harness is blocking the 10mm bolts. Use a 1/4in drive with an extension and swivel. 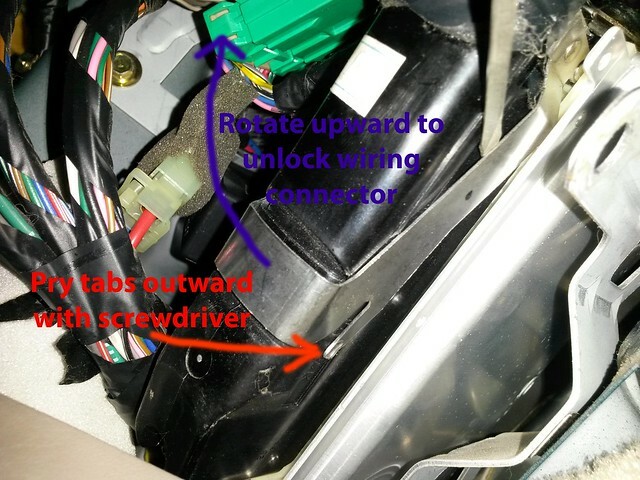 Use a screwdriver to pry the tabs outward. Rotate the metal piece up to unlock it. Remove connector. 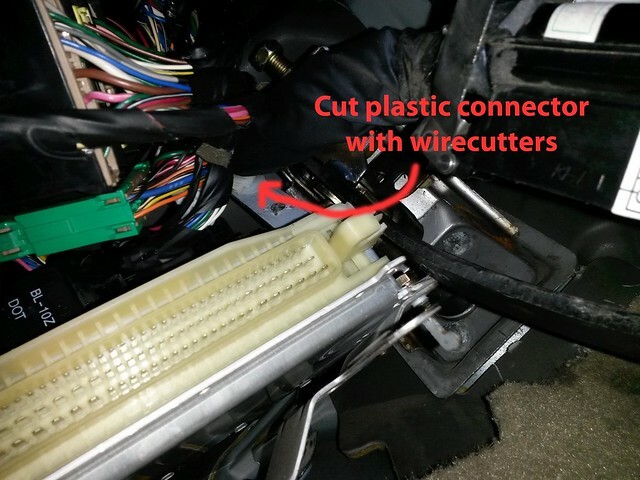 The ecu bracket is hooked to the wires via white plastic clip. Cut it off with wirecutters. The ECU is now free. The 1.8 ecu doesn't come with the bracket for the flasher/relay box so swap it over to your new ecu. Or just ziptie the flasher/relay box to the wiring harness so it doesn't vibrate on the ecu. 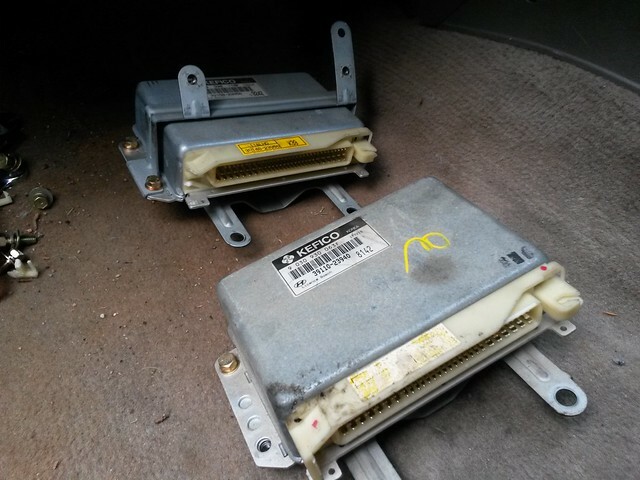 I researched this a bit and people seemed to prefer the '98 Elantra 39110-23940 ecu so that's what I went with. It came out of an Automatic car and went into my 5-speed. Auto and manual ecus are interchangable. Several people have also noticed increased fuel economy with the 1.8 ecu.